The head of the Environmental Protection Agency (EPA) argued Wednesday that using coal for electricity is necessary for the reliability of the electric grid. Speaking on Fox Business’s “Varney & Co.,” Scott Pruitt warned of the problems of relying too heavily on natural gas, which has increased in use over the last decade as coal has fallen. 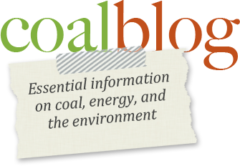 Pruitt argued in part that cybersecurity concerns should inspire the country to maintain coal as a significant fuel source. “Utility companies across this country need fuel diversity. You need solid hydrocarbons on-site that you can store, so when peak demand rises, you’ve got solid hydrocarbons to draw on,” Pruitt told host Charles Payne. “What would happen if we had an attack on our infrastructure when you’ve diverted to natural gas almost exclusively and you don’t have coal there as a safeguard to preserve the grid?” he asked.